The Chinese coastal city of Taizhou is looking forward to expanded maritime cooperation with Turkey claimed Ms. Lihui Wu, the vice mayor of Taizhou city in China’s Zhejiang province. “We are on the route of the 21st-Century Maritime Silk Road; therefore, we are looking forward to expanding our cooperation with countries and cities that are part of the same project,” said Ms. Lihui Wu, adding; “Thus, we look forward to expanding our maritime cooperation with Turkey”. China’s southeast Taizhou city has historically been on important trade routes. Italian voyager Marco Polo came to Taizhou more than 700 years ago along the Maritime Silk Road and described it as a city of creature comforts and happiness. Today, with a population over 6 million, the city is on the route of the 21st-Century Maritime Silk Road. This Maritime Silk Road of the 21st Century is part of a broader project called “One Belt, One Road,” and along with the Maritime Silk Road, it also consists of the Silk Road Economic Belt, which connects China with Central Asia, the Arabian Gulf and Europe via land. The Maritime Silk Road, on the other hand, connects China with South East Asian countries, West Africa and reaches up to the Mediterranean Sea. The OBOR region includes three continents and 66 countries with a total GDP of $1 trillion dollars, which is expected to cover more than 60 percent of the world’s population, about one-third of the world’s GDP and about 25 percent of all goods moved around the world. 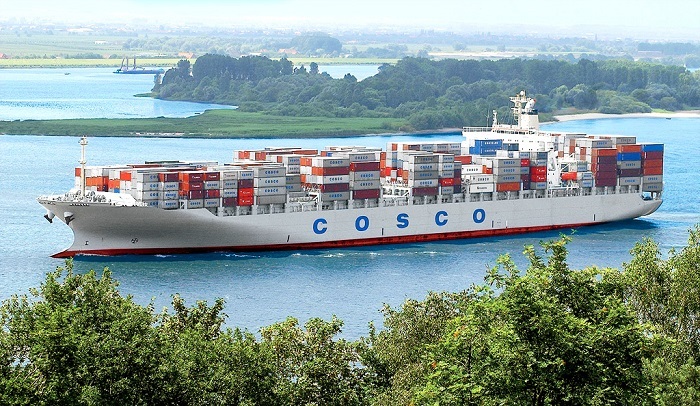 In 2015, the Chinese company COSCO Shipping Lines acquired the majority share in Kumport for nearly $1 billion. Kumport is Turkey’s third biggest port, handling 2.1 million twenty-foot equivalent units (TEU, a standard unit for describing a ship’s cargo carrying capacity) of container cargo. Thus, Chinese companies are already using Kumport to ship their goods to Europe. Taizhou also became a sister city with Istanbul’s Maltepe district municipality in 2015. “We would like to improve our economic cultural cooperation. Taizhou is a city of marine trade, manufacturing and the automotive industry,” Taizhou Municipal Party Committee Secretary Cai Yongbo said.